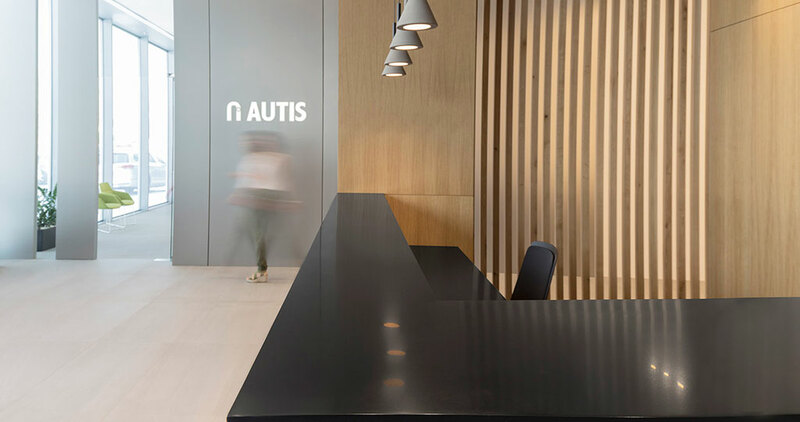 The engineering company, Autis Ingenieros, dedicated to the integration of industrial automation systems, has banked on the PORCELANOSA Grupo for the materials in its new offices in Gandia, Valencia. 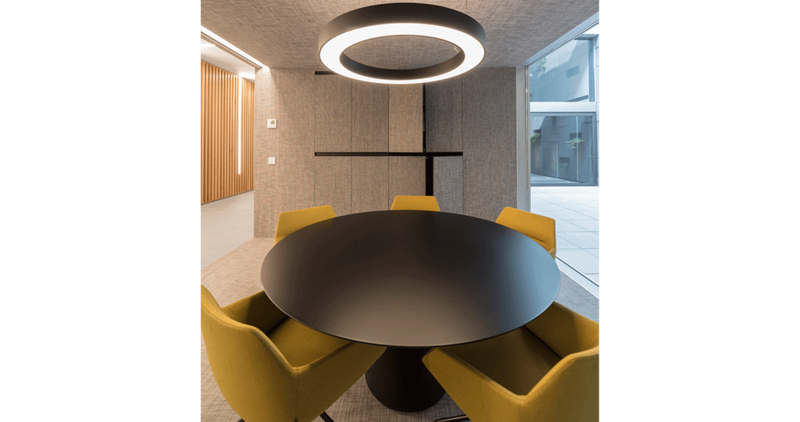 Resistant and versatile materials that adapt perfectly to the functionality and durability required by this kind of contract project. 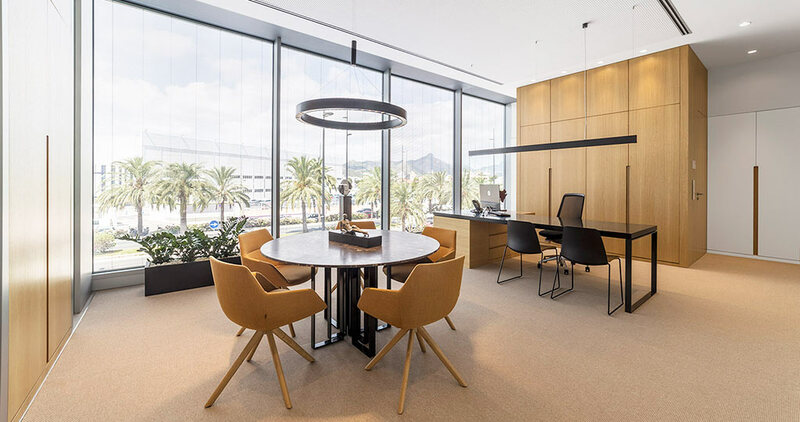 Thanks to the work and the joint effort of architects and interior designers, customised facilities have been designed to respond to the objectives and requirements of its general manager, Jose Bohigues. 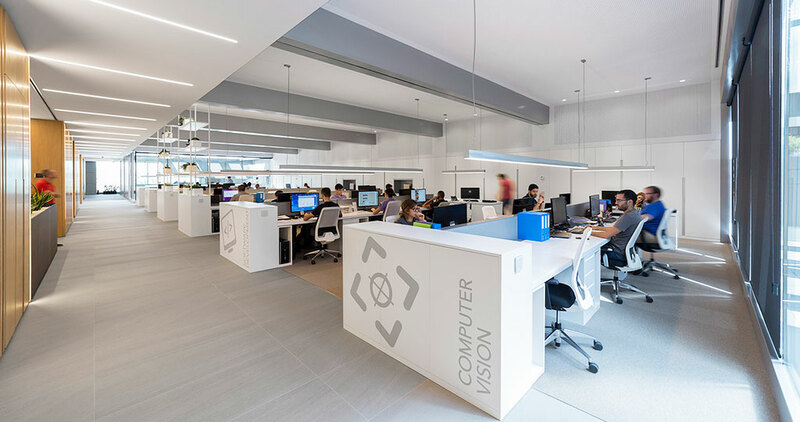 A project whose challenge is to provide his team with a comfortable space in which to develop its work. 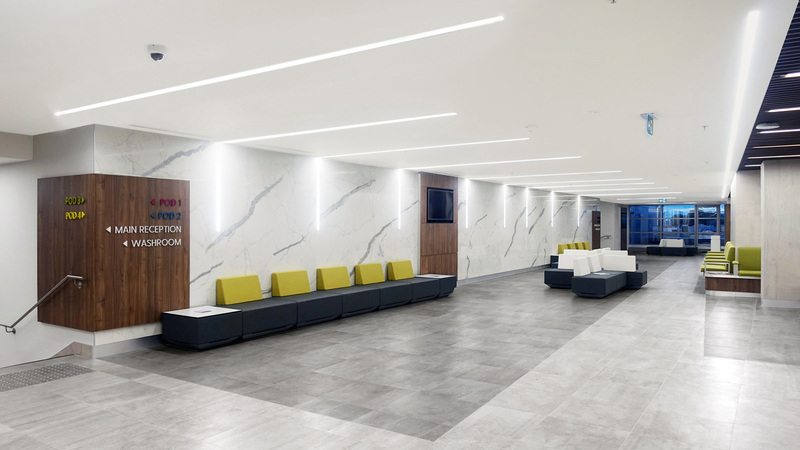 One of the most common handicaps when opting for materials for contract projects is to find versatile pieces that offer properties, especially the strength that these types of spaces require without losing out on the design and a careful aesthetics. 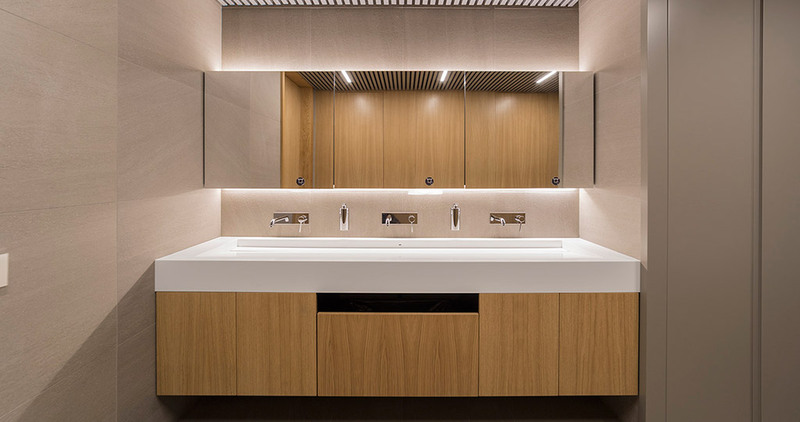 Therefore, one of the most used materials for these kinds of projects is the Krion® Solid Surface compact mineral. A thermocurvable product capable of being adapted to any type of surface or application. 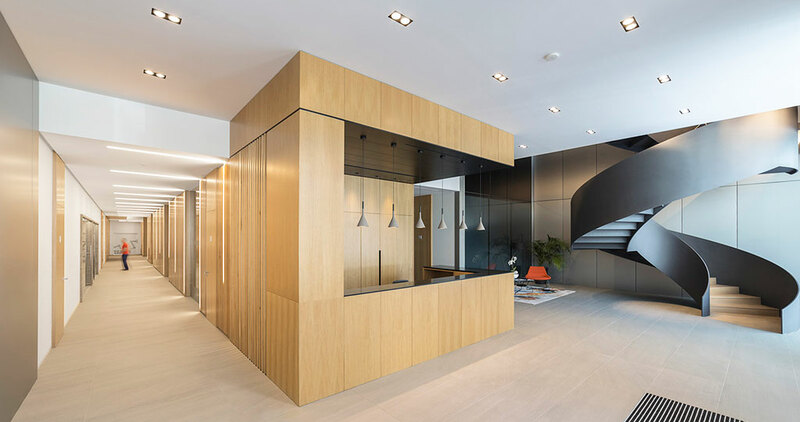 In this case, it is included in the reception with the Black Metal finish, in the different bathroom basins with the Snow White finish and in more than one hundred desks that are in the space. 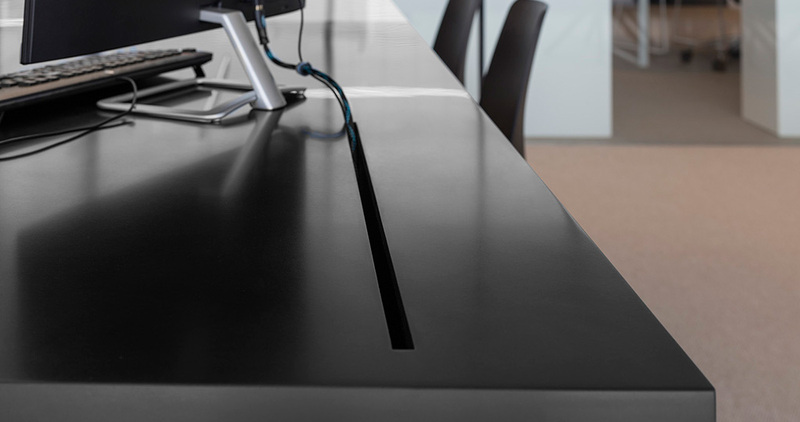 As well as that, the versatility of this material is also found in the drawers, meeting tables, in furniture applications and wall tiles in its Snow White finish. 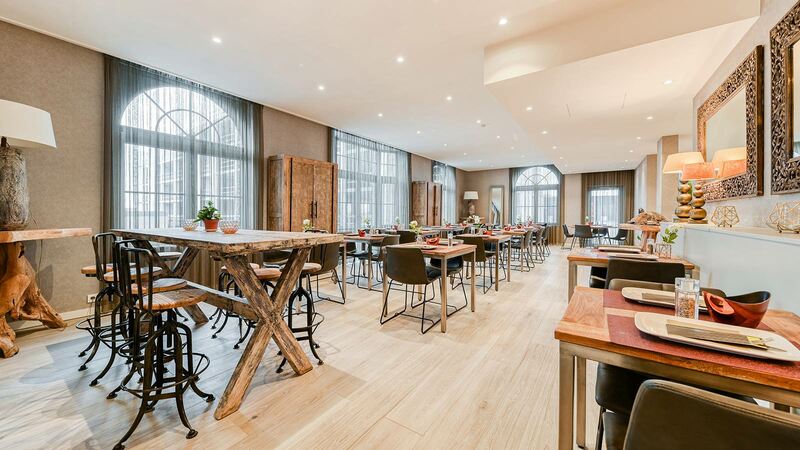 Furthermore, another material that stands out for its great strength and versatility has been opted for: Linkfloor Contract Cotton and Linkfloor Roll Contract Cotton by L’Antic Colonial. 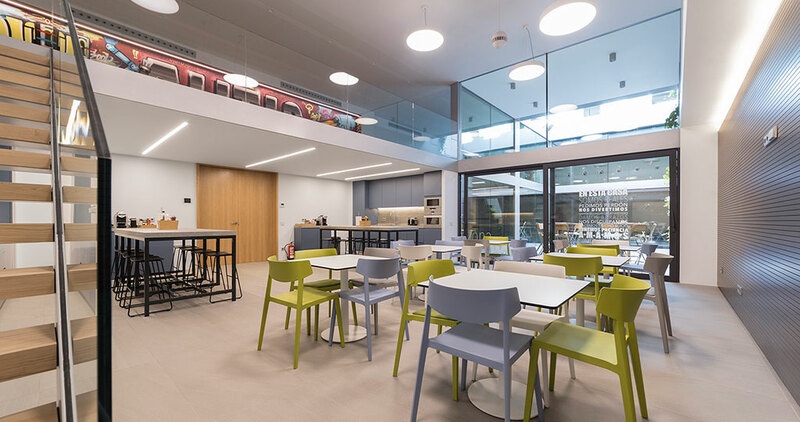 Two vinyl floorings which provide impermeability, easy cleaning and hardly any maintenance. Whereas the Linkfloor Contract Cotton floor tile offers a safe and durable floating installation through the lightweight Lock system, Linkfloor Roll Contract Cotton has a manageable roll format with large dimensions that can reach up to 10m long by 2m wide, along with a minimum thickness of 0.25cm. 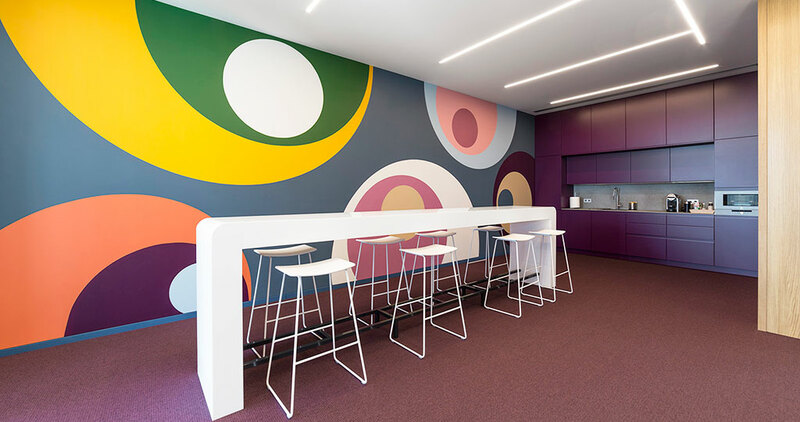 The most outstanding attribute of this material is its fast placement, since it can be installed on any material with a simple gluing, thus becoming an ideal solution for high demanding commercial premises that require speedy refurbishments. 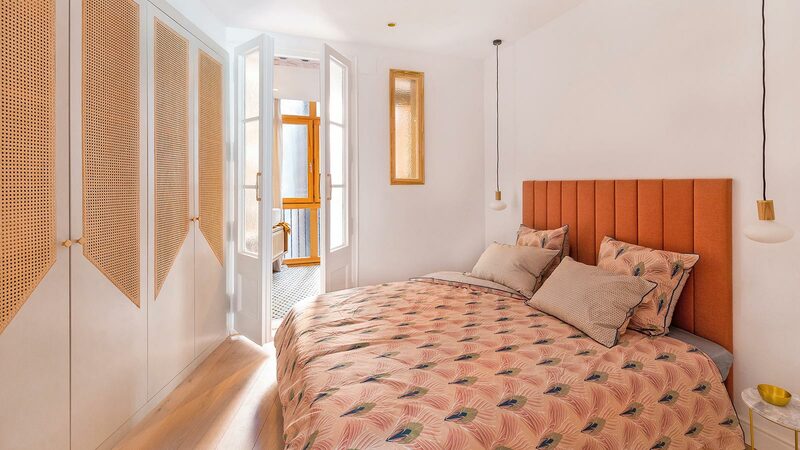 Floors that provide a durable, stable and a long-lasting hold, as it eliminates the excess of electrical charges on the floor, spreading them over the entire surface.